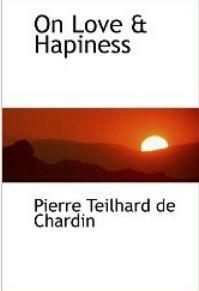 Here is a generous selection from the profound, illuminating thoughts of the renowned visionary/priest Pierre Teilhard de Chardinon: On Love and Happiness. The passages gathered here, culled from the extensive body of his work, make some of his finest writing available to readers who might otherwise not know where to begin; those already familiar with his work will find On Love and Happiness a compendium of spiritually enriching, life affirming ideas in a convenient format. On Love and Happiness a compendium of spiritually enriching, life affirming ideas.